We care about you. We love our patients and our patients love us. We take the time to get to know you and strive to make you feel important. 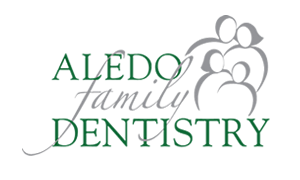 We want every patient to feel like part of our "family" and when you leave, we want to ensure you leave happy. We care about your health. We believe that real value in dentistry comes from dentistry that not only repairs, but prevents. We also believe that our technology allows us to better diagnose, better treat (with less pain) and speed your recovery. We have a genuine commitment to excellence in both our dentistry and hygiene, creating overall better health. You can rest assured that the work we provide is of the highest quality. 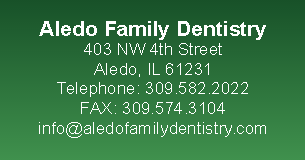 This is the reason we offer comprehensive dental services for you and your entire family. We care about your time. We understand that time is a valuable commodity and we want to respect your time because we respect you as an individual. We want to work around your schedule. We offer great hours and flexible scheduling. We recognize not all dentists are the same and we want you to be confident and happy because you chose us. Call 309.582.2022 now to schedule your appointment or consultation.